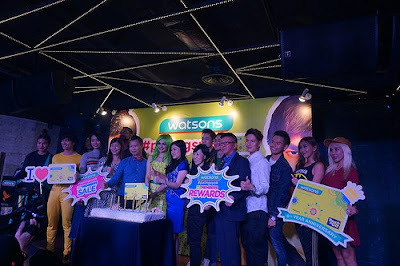 Due to its success and glory, Watsons wanna thank its VIP members for their continued loyalty by holding an unforgettable experiences through its anniversary campaign; Watsons #PalingSyok Members Sale and Rewards where it showers you with great deals and reward! In conjunction with the anniversary campaign, 11 street just announced its excitement in partnering with Watson. The e-mall offers special promotion. So, if you are one of the Watson VIP members who purchase any Watsons products on IIstreet, will receive double the reward points. Just so you know, the campaign allows members to enjoy the discounts of up to 50% together with cash vouchers worth RM 200 with a minimum purchase of RM 50 in a single receipt. This deal starts from September 1 to 27, 2016 in Peninsular Malaysia while in Sabah and Sarawak, it starts from September 8 to October 3. Most importantly, if you purchase selected products when you redeeming your VIP points, then your money will get saved. Also, there will be four astounding offers weekly throughout the campaign (which provide gift-with-purchase option). The best part is IIstreet will also offer free delivery for purchase above RM50 apart from giving out 20% discount coupons with any purchase. Wanna know more? 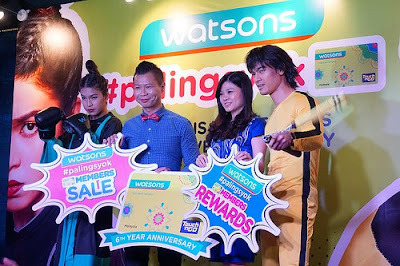 Don’t forget to visit http://www.watsons.com.my/ and check out the details by searching hashtags #PalingSyok Members Sale and Rewards are available on Watson Malaysia’s Facebook and Youtube channels. Let’s enjoy this amazing experiences via this member’s sale and rewards campaign together!